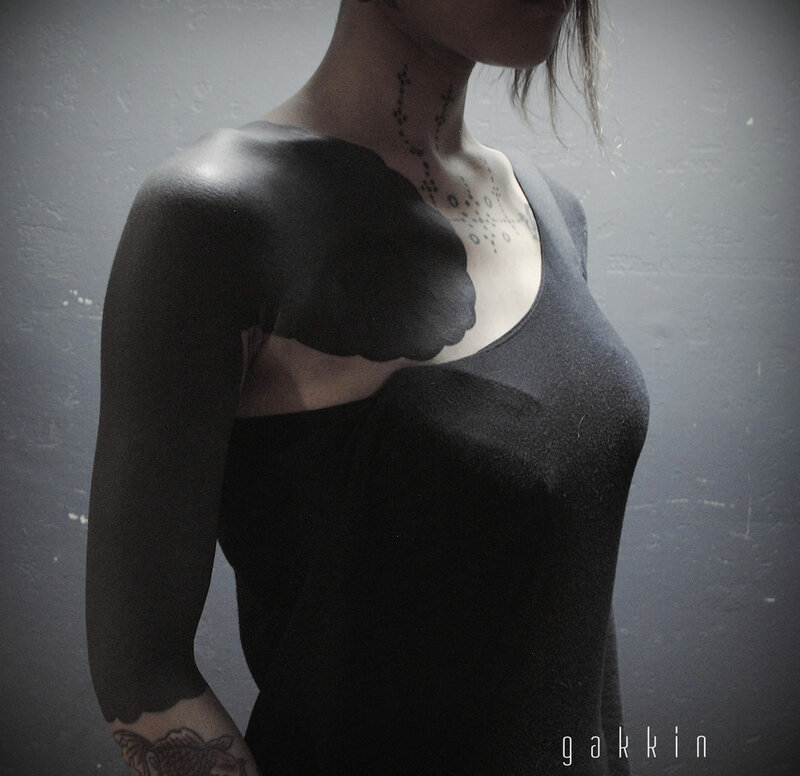 Once dreaming of becoming a fashion designer, Gakkin simply got bored of fashion school and preferred hanging out at local tattoo shops. 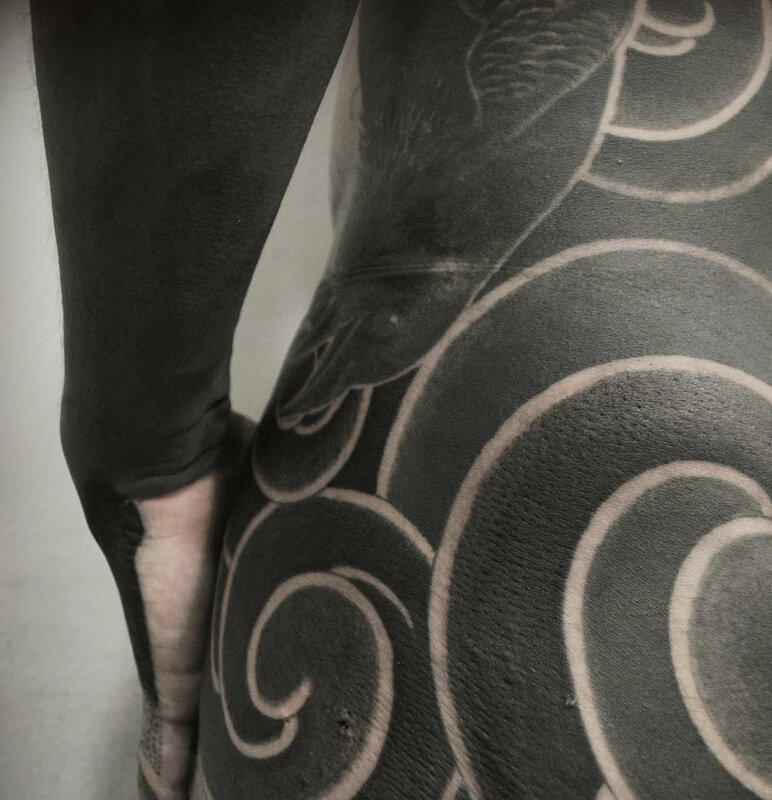 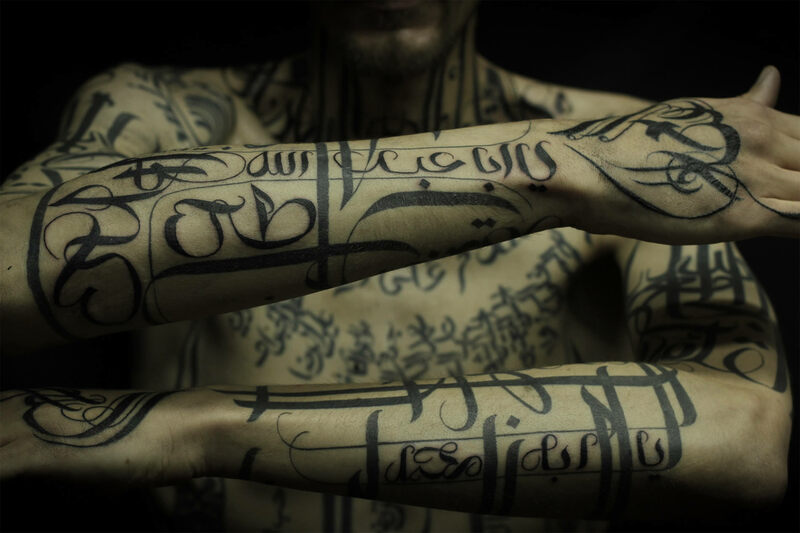 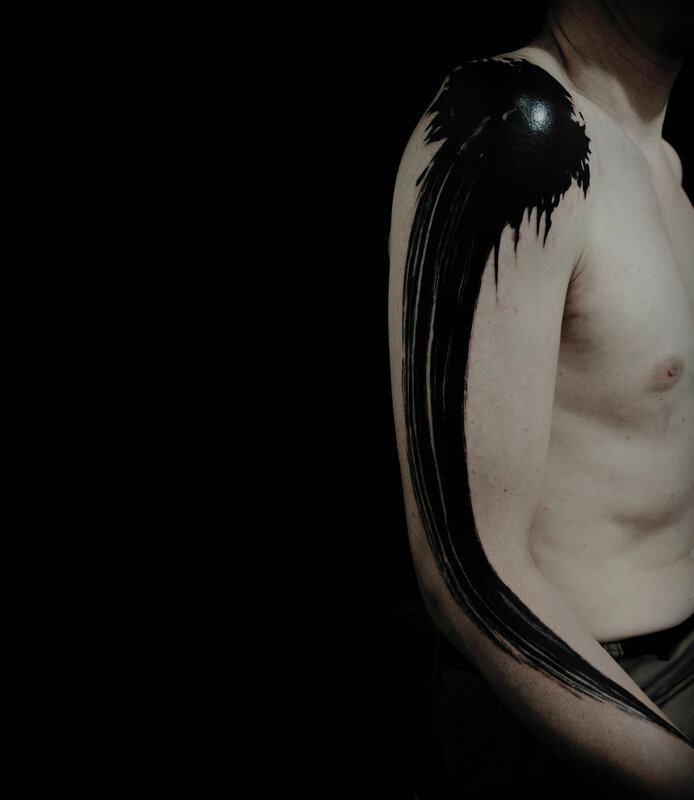 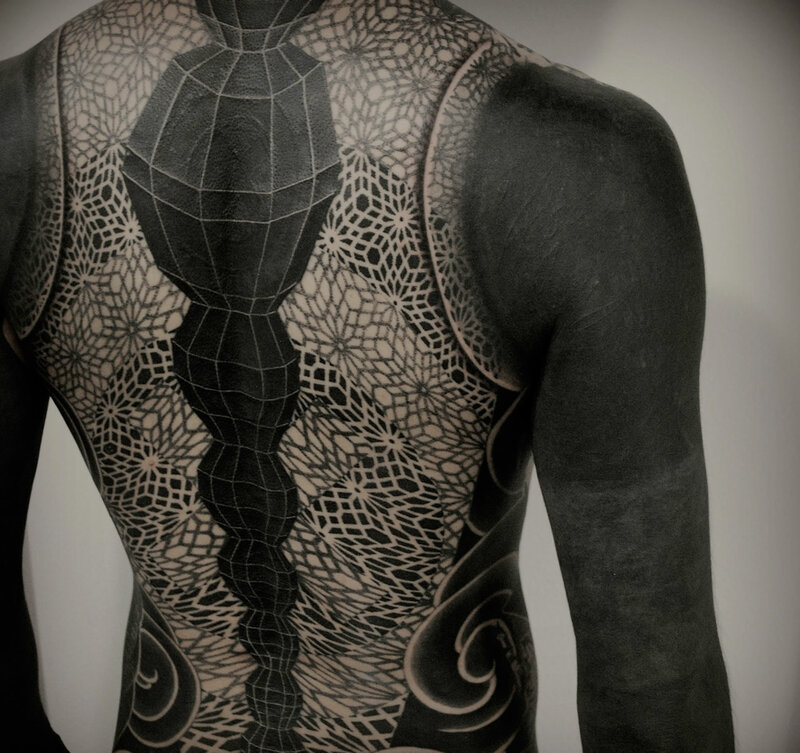 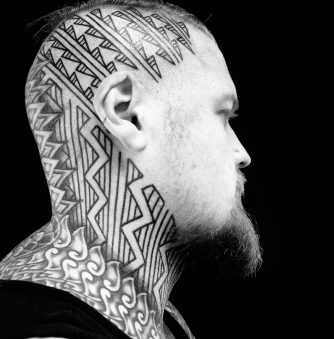 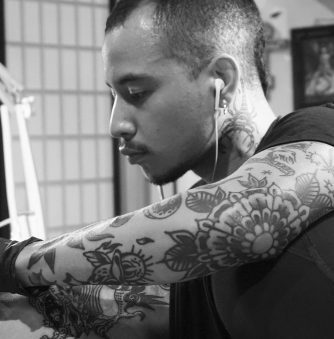 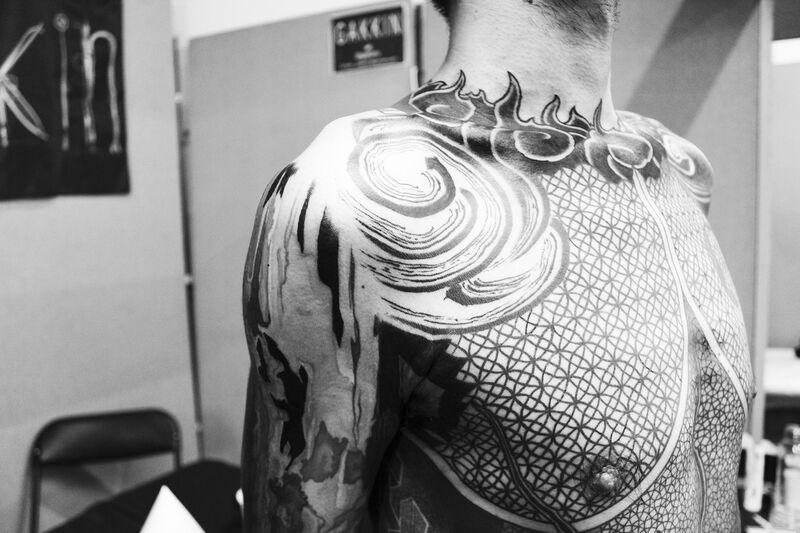 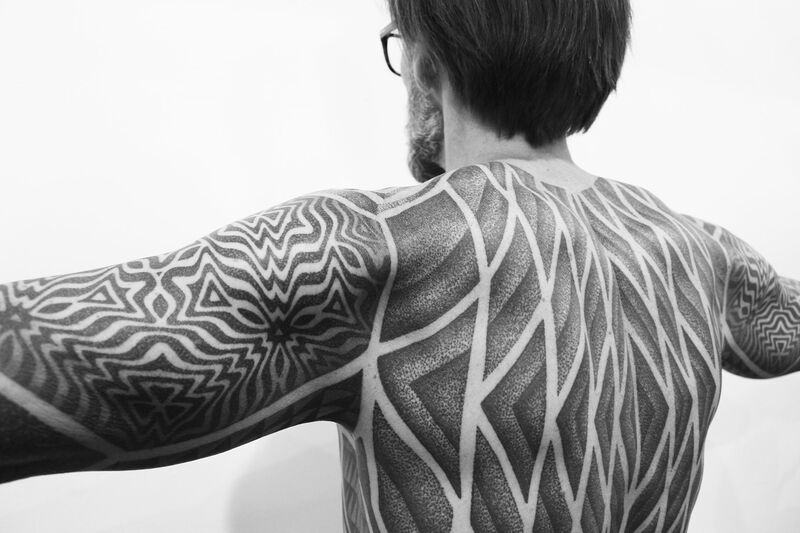 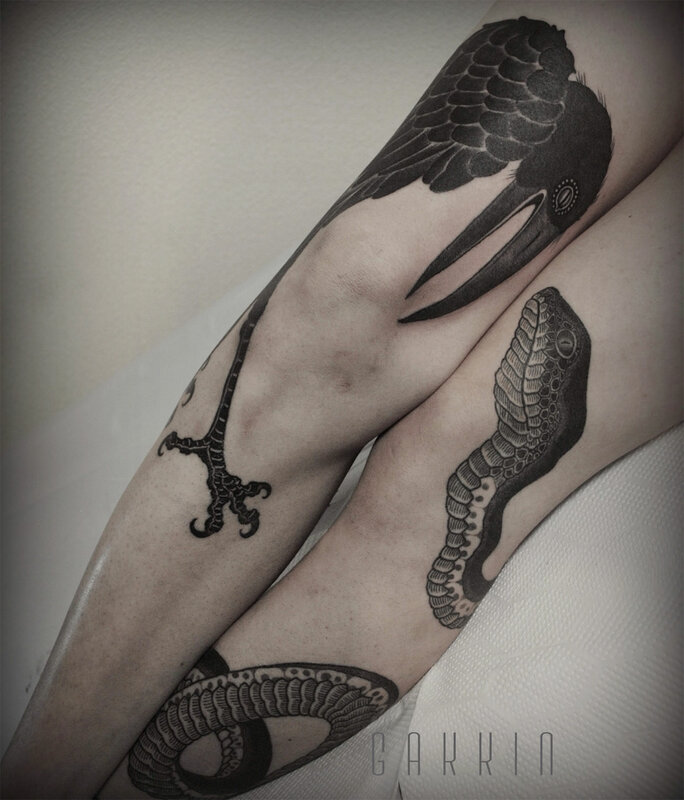 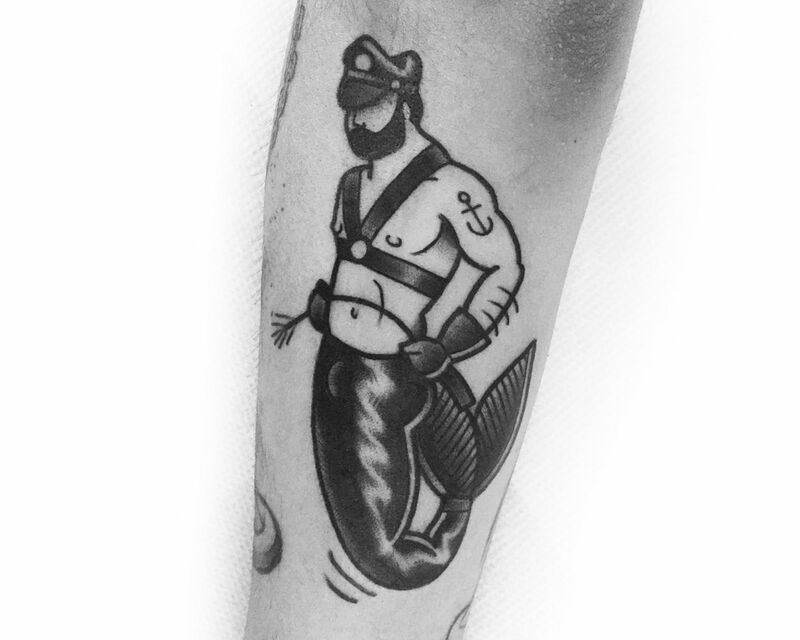 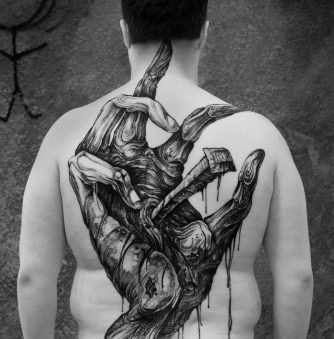 Fast forward almost two decades later, he is revered in the international tattoo scene for his freehand color and black works. 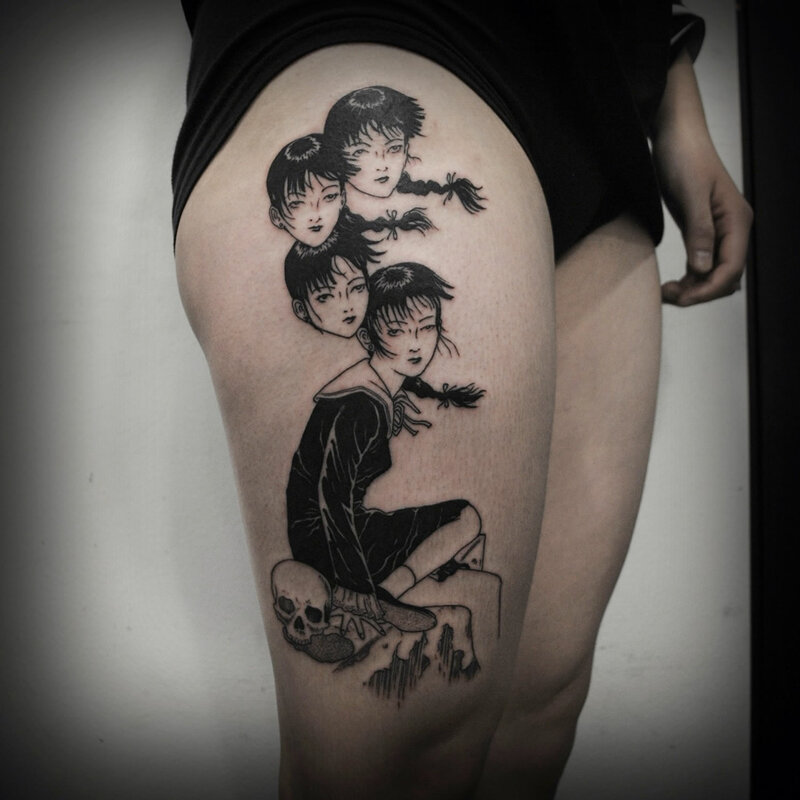 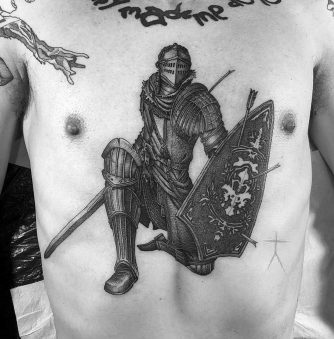 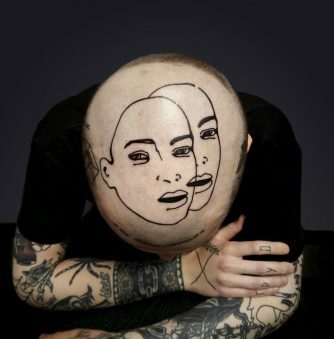 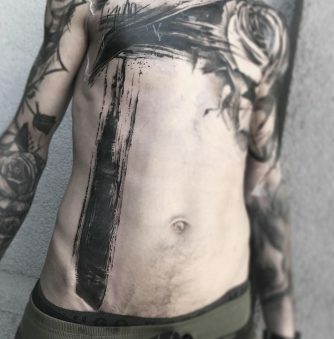 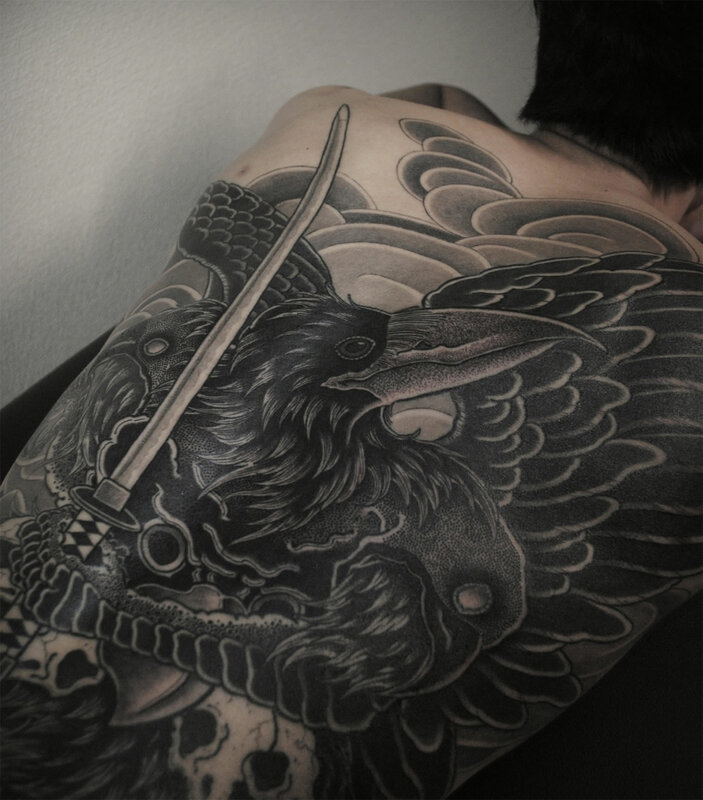 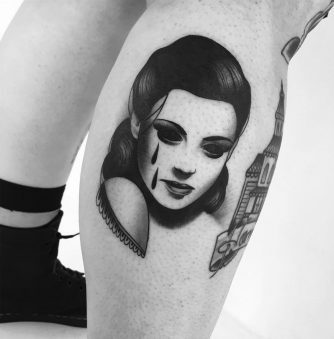 The latter being the focus of this feature and showing us he’s a 21st-century artist wanting to innovate traditional Japanese tattooing and imagery, yet also respecting history and sometimes even following established rules—“you don’t want to put momiji and sakura in the same drawing,” he writes. 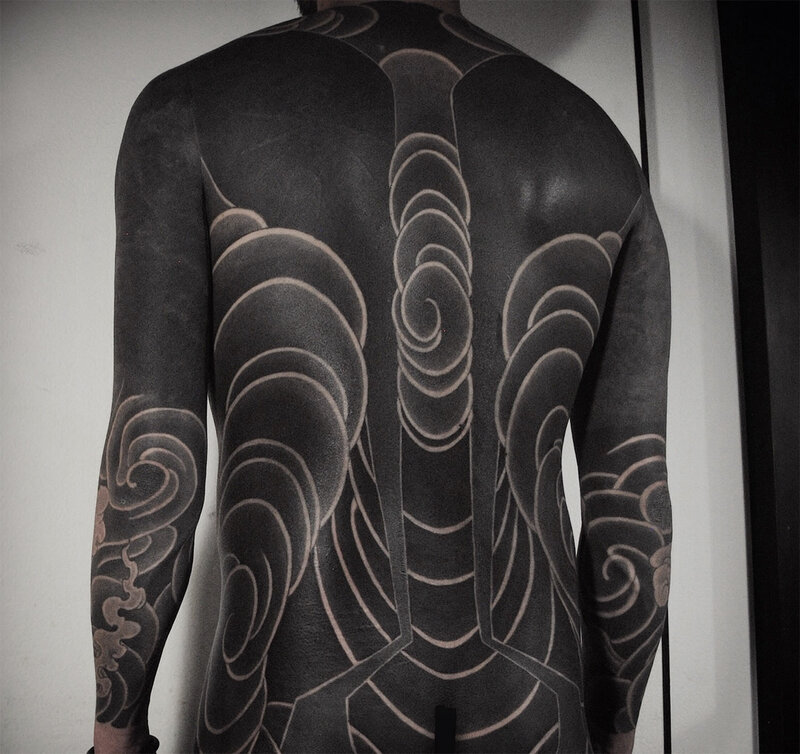 Full sleeves, body suits, and even background fills for Guy Le Tatooer are expertly inked in black by Gakkin, who cleverly utilizes negative spaces in his designs.